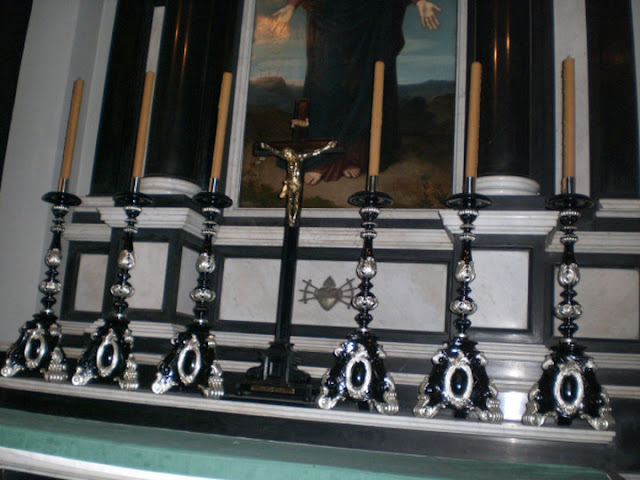 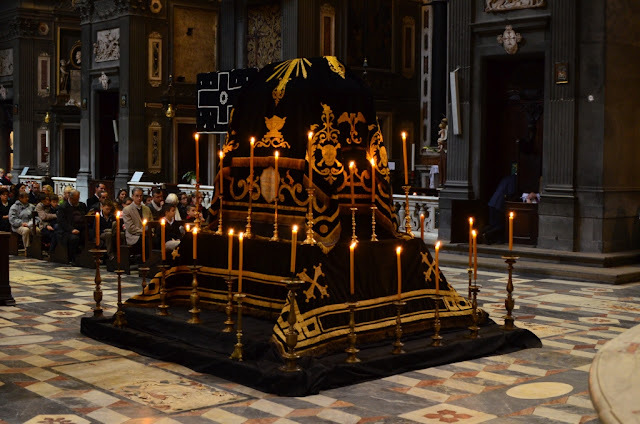 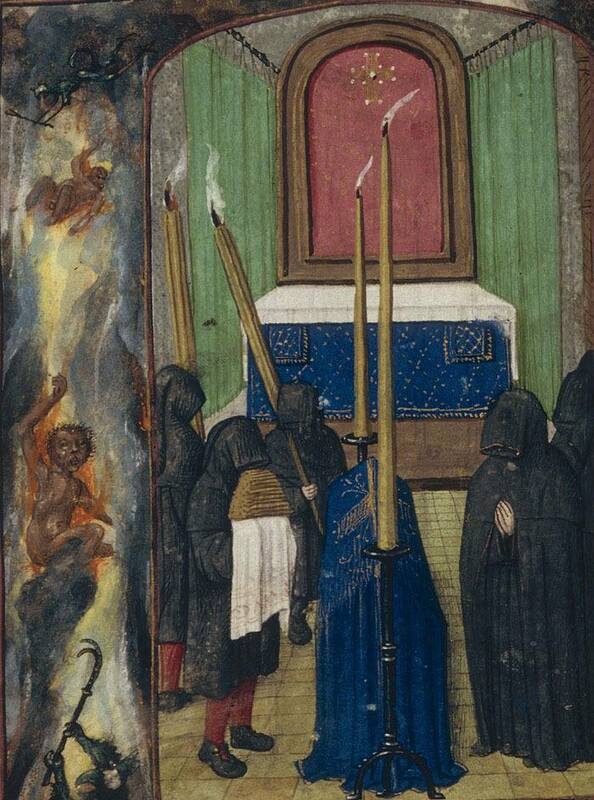 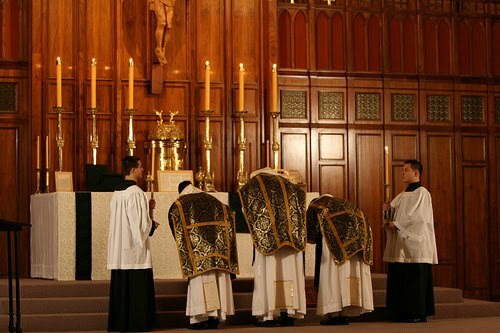 The employment on occasions of sorrow (the Tenebrae, funerals, etc.) 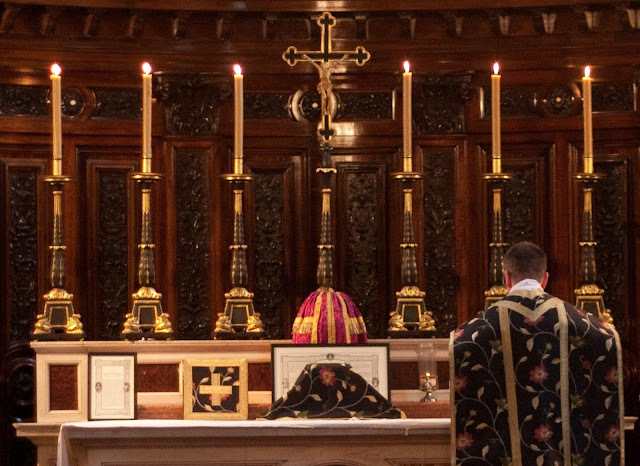 of unbleached rather than bleached candles is evidently fitting, since the sombre tones of unbleached wax harmonize with the mournful ceremony, while bleached wax, being far higher in the tone scale, would intrude a note of joy. 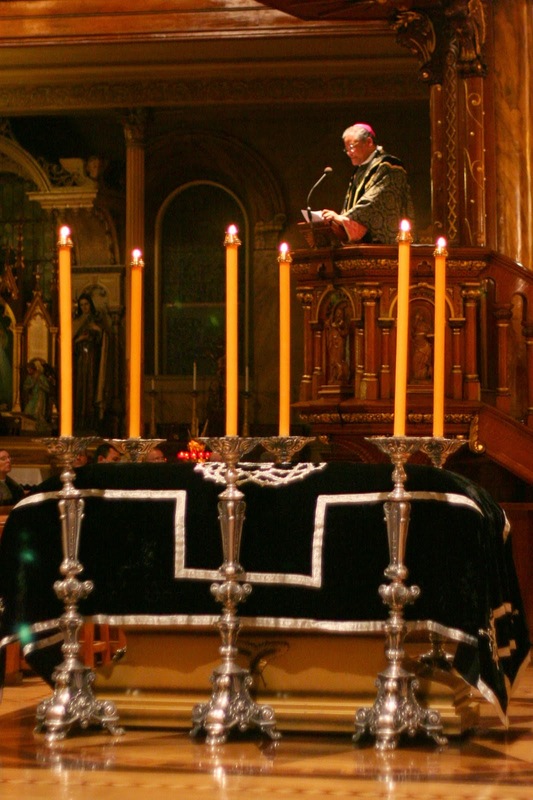 With that consideration put back before you, here are some visual meditations on the use of unbleached beeswax candles for All Souls and for the Requiem in general. 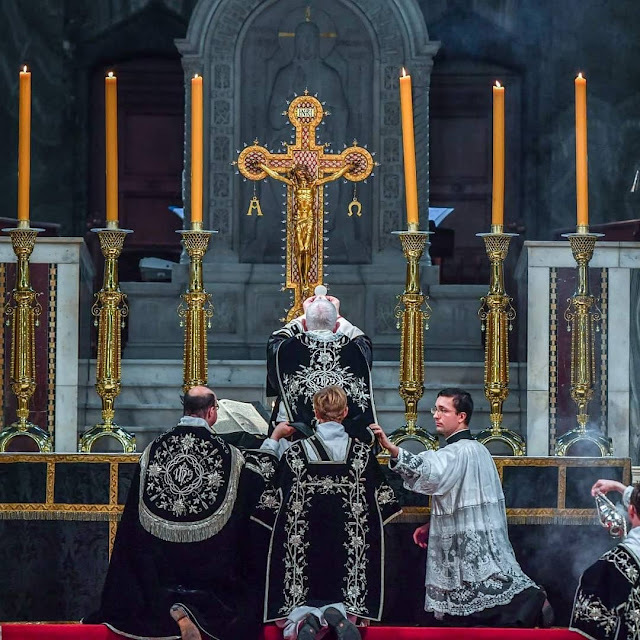 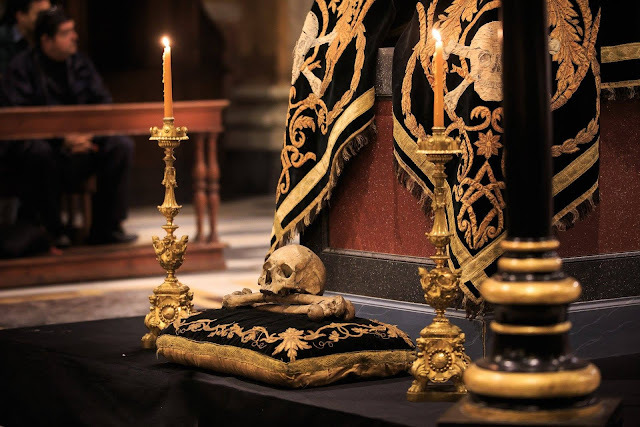 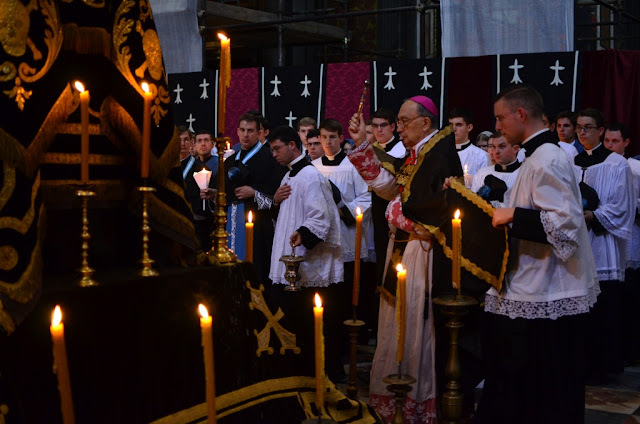 May this powerful tradition continue to see rediscovery in our time, as the value of our liturgical tradition and the wisdom contained therein is similarly rediscovered.